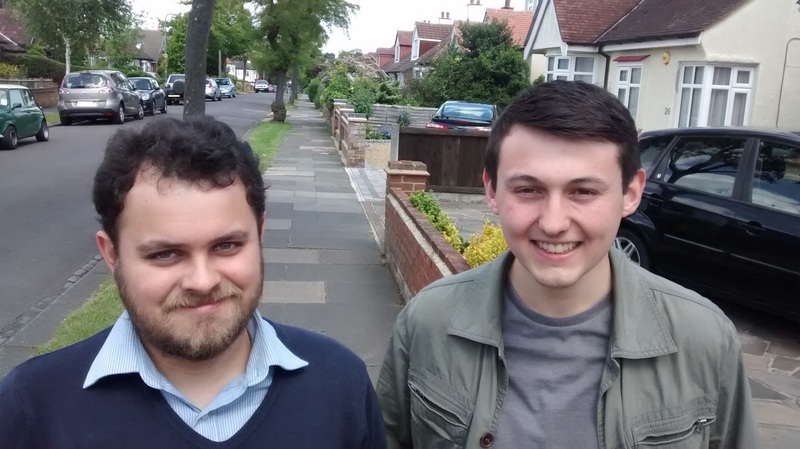 This weekend I was out in a mere three wards: St Luke’s, Blenheim Park and Milton. I also know that we had teams out in Kursaal and Westborough. It was a pleasure to join our St Luke’s candidate, Donna Richardson. If my snapshot is anything to go by then we are on for a Labour landslide here in May. However, that does somewhat fly in the face of the facts of recent elections, which have seen both Conservative and Labour vote shares plummet. This has enabled the rise of the Independents, whose lacklustre representation must worry residents. Their only contribution to debate recently has been Cllr Ayling’s whining about having to pay for paper and ink (currently provided for by the hard-pressed Southend tax-payers). Cllr Ayling’s only contribution to the blogosphere in three years is a complaint about a reduction to his Special Responsibility Allowance. Come now , Brian, you were not elected for this. 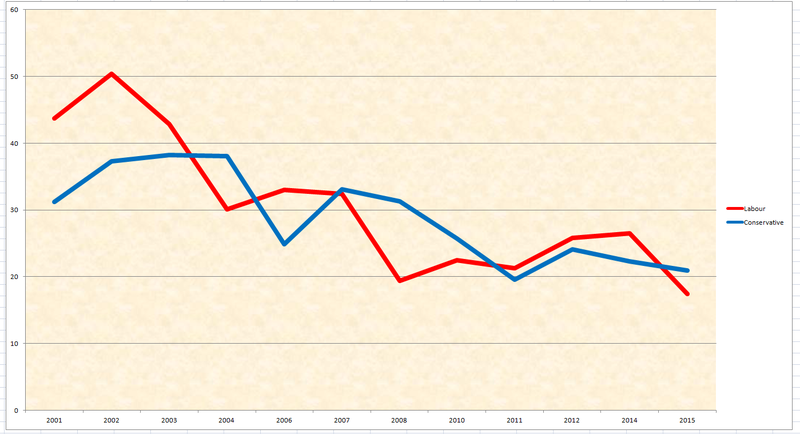 This graph shows the Labour and Conservative vote shares in Milton ward for every local election contested on the current boundaries. 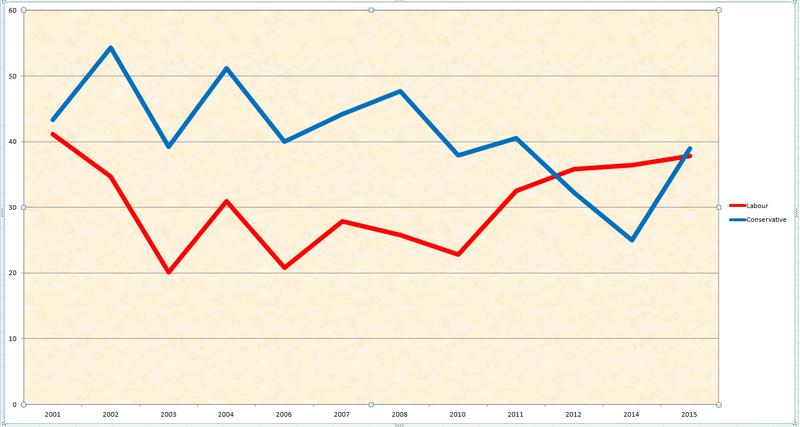 The general picture is of declining Conservative vote share, whilst Labour’s has dipped and recovered. We are still not at the level we were in 2001, although in numbers of actual votes secured we went beyond 2001 this year. Had the Greens not secured 10.9% of the vote then the Conservatives would not have held on in May. The 1658 votes Gary Sergeant attracted would have won in any other year, and if one presumes that the majority of greens support would have come our way then a good majority would have been ours. I have no idea whether the Greens will put up a candidate this year, my campaign must concentrate on what we will be doing and not be distracted by who the potential opposition is. I have got to concentrate and beating the Tory candidate, for this ward is a tight two-horse race, whatever the actual size of the field. I am a long way from confident of success, but I know that me and my team will work hard. I am heartened by the huge increase in Labour membership since May, and this augers well for the mechanical side of winning elections. I will also keep up my campaigning on those issues dear to me. Whatever residents may think of the causes I champion, and consequently what view they hold of me, they cannot accuse me of not being prepared to tackle some of the bigger issues. The session ended with a polite but firm “sorry, not interested”. It began with what some in my party insist represents a big enough caucus to support a Labour Party moving leftwards in order to win, and that was someone for whom Labour is a compromise in the absence of a more left-wing alternative. This resident was thoroughly engaging, and we had a good discussion across a range of subjects. This leftie was alone in holding his views, and whilst it was certainly a small sample (insofar that I cannot speak to hundreds in an afternoon session) if there really is a hidden majority of those who want ideological socialist purity they do not reside in areas that I go canvassing. In between I had a parrot perch on my right shoulder, which is a first for me and could be a first for any councillor in Southend-on-Sea. It was a very charming parrot. It was hot afternoon for campaigning, and a rewarding one. There was not huge numbers of Labour supporters, but each conversation was rewarding in its own way. Someone had a pigeon problem, someone else had yet to register to vote over a year after moving in, another let me know why Labour could never attract their vote. Parking, rough sleepers, and dog’s mess also came up. A good afternoon, and a thirsty one. My overall impression is of a Tory resurgence though, and in the absence of strong opposition my view is that the Conservatives are making hay. The distraction of a Labour leadership election cannot end soon enough for me. I have said it before, and I will say it again – Ed Miliband should have hung on for a while and we should have had the contest after the autumn, or even later. I do not understand the need for haste. It is largely acknowledge that the leadership election in 2010 allowed the Tories to set the narrative, and it could easily happen again in 2015. 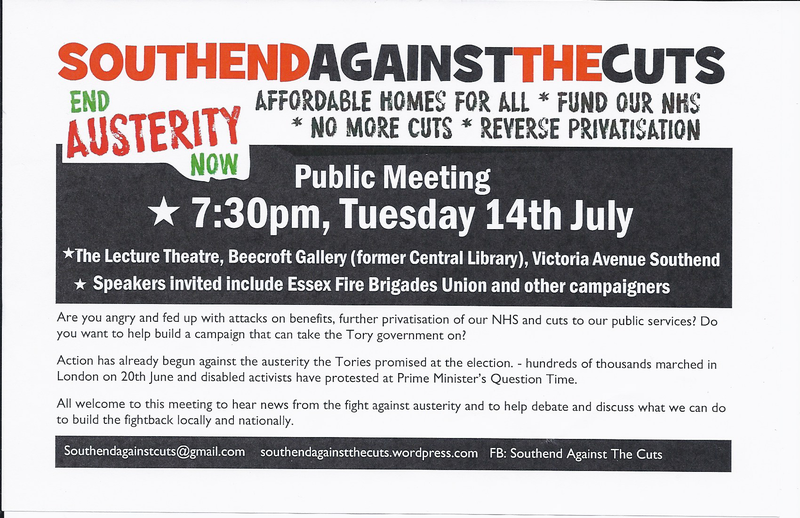 At the Southend Against The Cuts meeting tonight I was greeted by one supporter with “are you still Blairite?” SATC is a broad church of lefties, and to the gentleman who made this inquiry I am the wrong side of this coalition – he being a Communist Party member. I am no Blairite, although I thought he an excellent Prime Minister – despite my disagreeing with some of the things he did in his decade in power. I am on no wing of the party, although I guess I am too close to the centre ground for some. I am, in reality, a mix of different strands, and do have some left-wing views on some subjects. However, I am proud that I have always described myself as Labour, and not slavishly allied to a particular camp. I belong to Compass and the CLPD at the moment, and have been a Fabian and Progress member. I have also been described as a Brownite. If forced to pick a label I’d go for Pragmatic Labour. The meeting tonight was not a discussion on where I sit on the left-right spectrum but rather about the upcoming SATC AGM, and recent events. I have been SATC’s Treasurer since it was created in 2010, but I have decided not to seek re-election this year. This is largely to do with deciding to handing on the mantle and wanting to tackle new challenges. It has to be said that whilst definitely unhappy with the way the Tories have implemented the cuts, I think I am more prepared to take a realistic stance than some others. I also, as a councillor, have to implement the cuts whether I like them or not. SATC is also looking for a new Secretary as Julian Esposito is too busy to continue in this role. Anyone fancy doing this role, or Treasurer, can contact me. The AGM is scheduled for 14th July (see flyer) and I have asked that amongst the topics discussed is voter engagement. “So” says I to a resident, “why did Labour lose the election?” “I have no idea” responds the resident, “I have always voted Labour”. As the conversation developed it became clear that this particular voter could not understand why anyone would not want to vote Labour. It is not always like that. Whilst the prevailing opinion appears to be that either an unlikeable leader or poor economic performance when last in led to our downfall, there are those who venture alternate views. One person was convinced that Tony Blair’s involvement, albeit limited, caused our failure. Some thought we were too left wing, others say we are not left enough. A number of voices did not want the SNP and believed, despite the denials, that a Labour Government would end up in coalition with Nicola Sturgeon’s party. Welfare is mentioned, and immigration in some quarters is seen as primary; the forthcoming EU referendum is also mentioned. Is there anything more frustrating than being told that they wanted a Labour Government, and then following it up with either “but I didn’t vote” or “I voted for XXXXXX instead”. How anyone expects a Labour Government to materialise unless they vote for it baffles me. And one must not forget the abstainers. These, despite an increase in turnout, still amounts to one in three voters. The “they are all the same” argument is widespread, as is the view that all politicians are liars/cheats/in it for themselves (delete as applicable). However, you do get the occasional “oh I forgot” and “I was too busy”. And you would be surprised at the number of those who admit that they just do not understand politics or what the parties stood for. In amongst conversations about Labour’s woes I did have several people tell me about crime and anti-social behaviour issues. I do not believe that the prospect of more policing cuts is going to be welcomed everywhere. For some reason crime has come up quite a few times recently, in one guise or another. I am not suggesting that general fearfulness has risen, but whilst I promise to speak with the local policing teams about whatever is troubling said resident, I am mindful that increasingly scarce police resources are bound to mean a devaluing of the response. 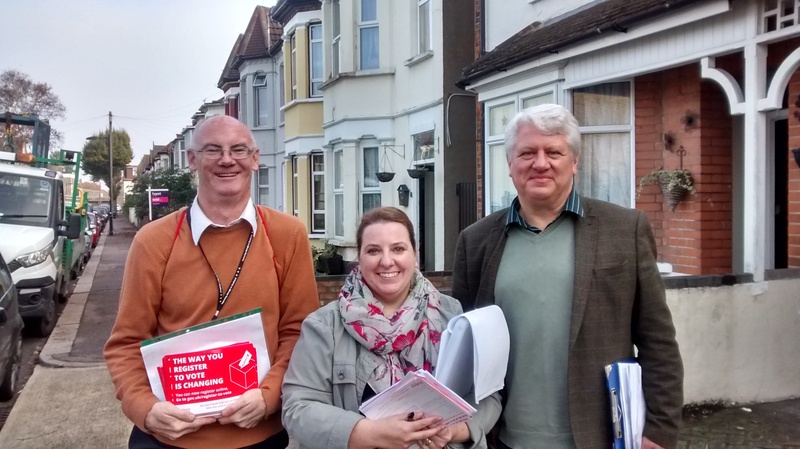 Oh, and whilst my re-election campaign swings into action (yes, I could be an ex-councillor in eleven months time) I am also helping out elsewhere when I can – this weekend in Blenheim Park ward. Now, if it would stop raining I might get more done ….. Despite what was pretty good results for us in Southend-on-Sea, let us not be under any delusion – the Tories had a better night. Three gains put them back within touching distance of regaining control in the local council chamber. The hotchpotch that is the Joint Administration is now four groups. If the Tories have a similar set of results next May then they will be back, and we will once again be in opposition, powerless to help those who depend on us. Of course, it is not a given that May 2016 will be a mirror of May 2015, but I am not prepared to trust to luck on that one. I have already been back out canvassing, and I know some of our colleagues are planning their campaigns already. In my opinion we must be on the attack, and discover a love for pavement politics. Leaflets have their place, but nothing beats doorstep conversations. We also must be prepared to talk to everyone – there is no natural Labour majority in the borough. Winning elections is all about finding our vote, nurturing our vote, and encouraging it out on polling day. We also have to win people over, especially those we have lost to the likes of UKIP and the Greens. We have to be the ones who are active in our community, and we have to be the ones that residents see all year, not just when elections are imminent. I think we need to fight 2016 as hard as we fought this year. 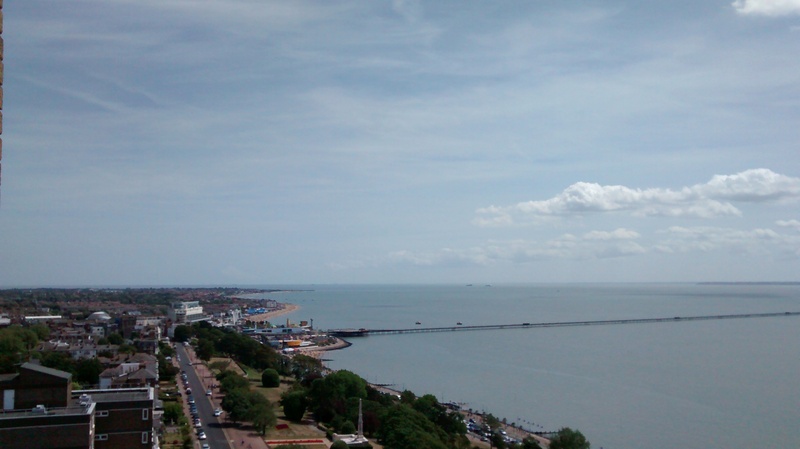 Join us, and help Labour grow in Southend-on-Sea. We have keep our opponents at bay. My campaign showed that there are possibilities for us in a number of places beyond what we currently hold. With your help we can make gains, and by making those gains help make Southend-on-Sea a better and fairer place for everyone. 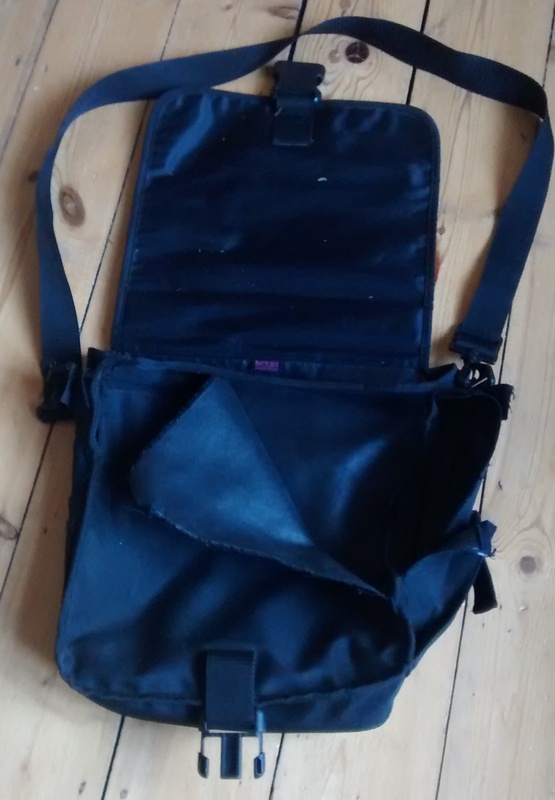 There has been a regular feature of my campaigning over the last decade, my trusty bag. This has carried thousands of leaflets over the years, with, maps and pens, as I have navigated footpaths and letterboxes in many parts of south Essex. It got progressively more battered as it has suffered from being caught in gates and gateposts, the weight of hundreds of leaflets at a time, being snared by unfriendly plants, and the elements. Recently it was a minor miracle that it carried anything at all, such is the state of its disrepair. However, it became a totem for me, a survivor, like me, of three General Election campaigns. Despite being offered a replacement I was determined to see my bag accompany me right through to the end of the 2015 campaign. Alas, the bag retires to the recycling bin – perhaps a metaphor for my fate. Who knows? I genuinely have no thoughts for the future beyond hoping to retain my Milton ward seat next year, and to get more Labour activists out on doorsteps in my hometown between now and the first Thursday in May, 2016.